I have iOS 11 Developer Beta 4 installed on my iPhone 7+ and on my iPad Pro. I want to utilize the sync messages feature with iCloud. I was able to with my MacBookPro running High Sierra Beta. But on my two portable devices there is no "Messages on iCloud" toggle or "sync now" section in Settings/Messages. We go right from being able to toggle iMessage on or off to "Show Contact Photos"
Do you have two-factor authentication for iCloud turned on? 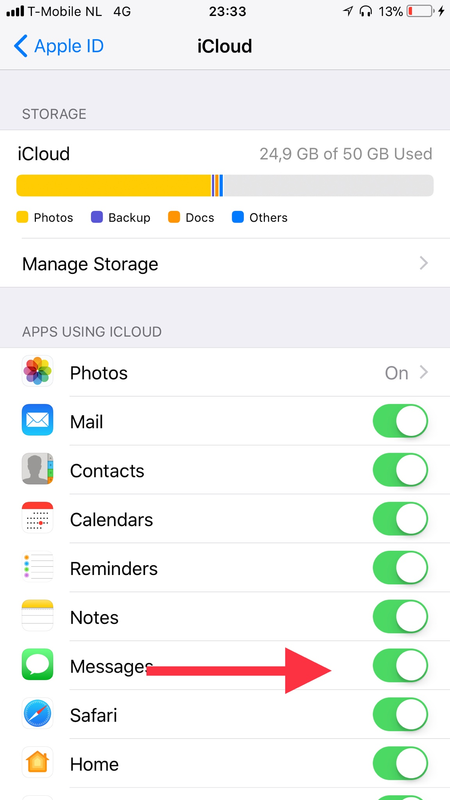 Apple did make a change that two-factor authentication for iCloud needs to be on to sync messages with iCloud. We also have a thread dedicated to iOS 11 developer beta 4 right here. Yes it is turned on - on all devices. Go to Settings > iCloud. The toggle for iMessage sync is there. That did it. I don't know how I missed this! Thanks! They changed it with this beta. It used to be under messages with beta 3.